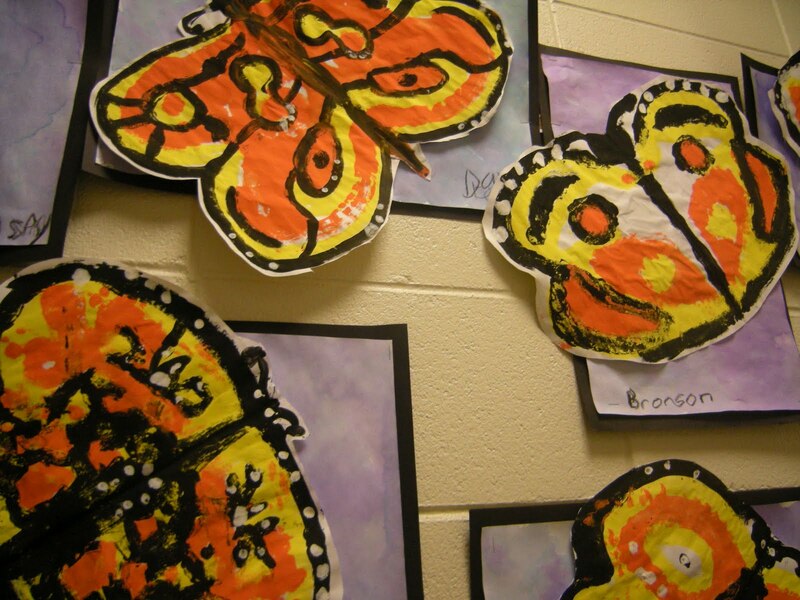 In Art class, second graders learned about Monarch butterflies and how each year a generation migrates to Mexico in the fall. The Monarchs reach a forest area in the mountains of Mexico and nest in the trees. 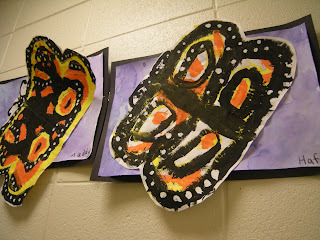 We talked about the symmetry and overall design of the wings. Students learned the parts of a butterfly; antenna, head, thorax, abdomen, and wings. 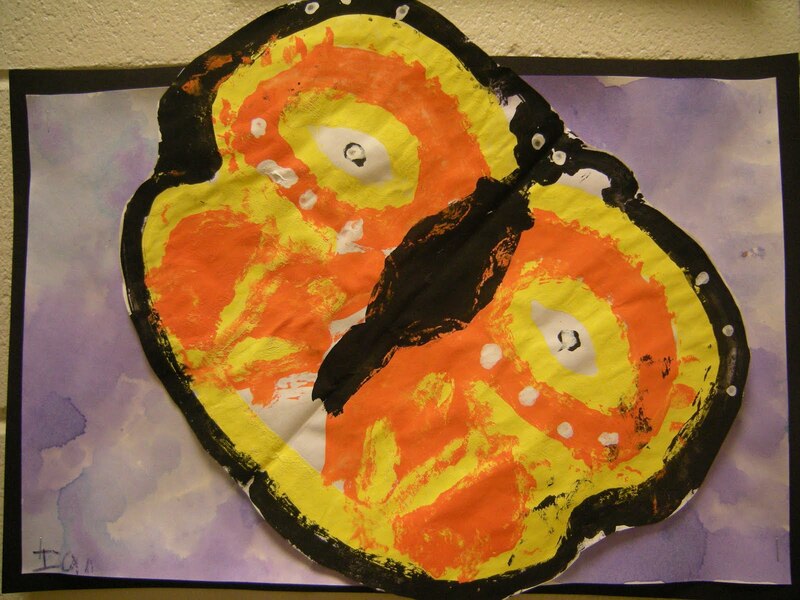 Second graders started this project by painting a letter B on one side of the paper with yellow paint, and then folded it to create a symmetrical print on the other side. Next, they added orange and black paint for details. 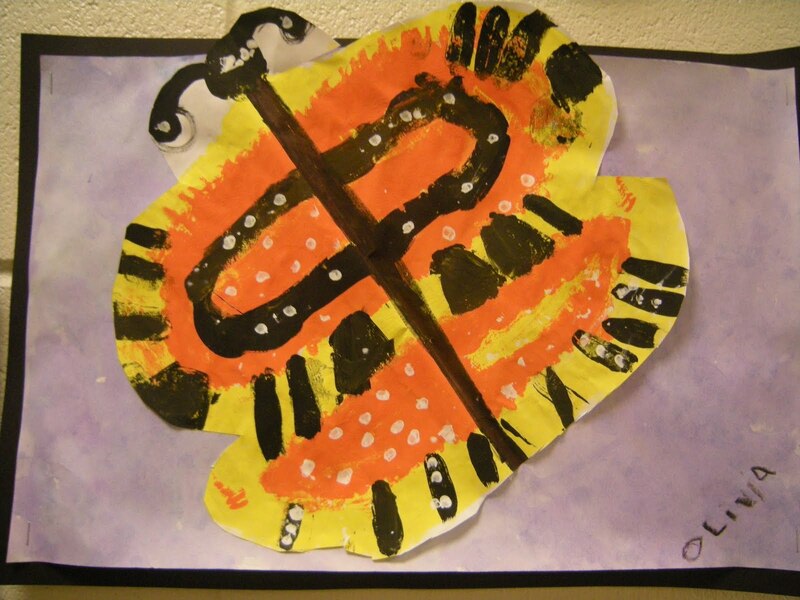 A Q-tip was used to add the small white dots around the wings. Beautiful work second graders! I got the idea from there is a dragon in my art room blog! Thanks for mentioning me. But it wasn't my original idea; I got the idea from Art Project Girl!